Backpacking the Philippines should be on everyone’s bucket list. 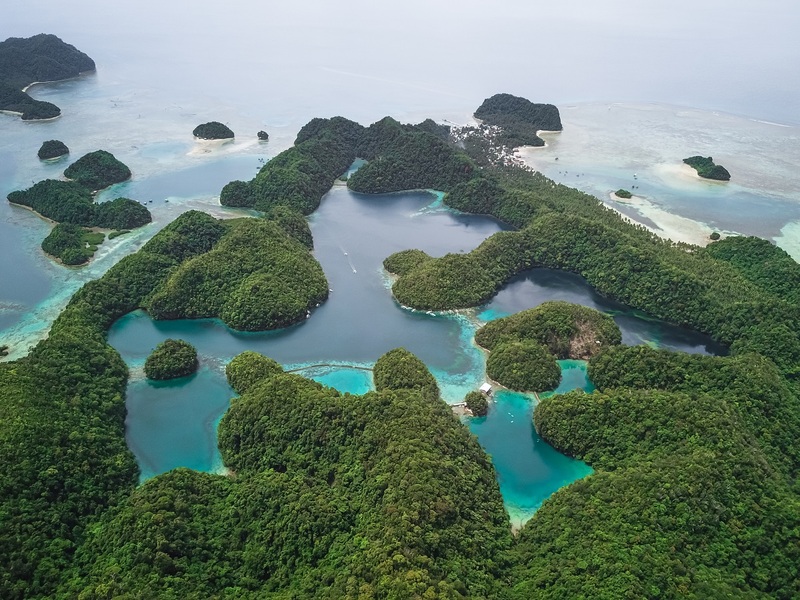 With over 7,000 islands, the Philippines is one of the world’s largest archipelagos. Jam-packed with picture-perfect white sand beaches, beautiful sandbars, and small shacks selling cheap beer and rum. The photo opportunities are endless. 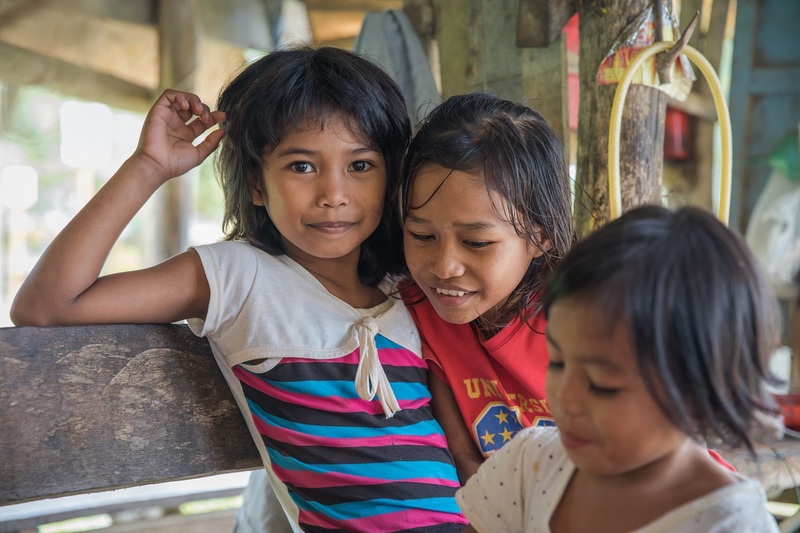 Many of the locals speak English and are some of the friendliest people in South East Asia. The Philippines is a place where karaoke is a national pastime so don’t be surprised to hear terrible singing at any time of the day. 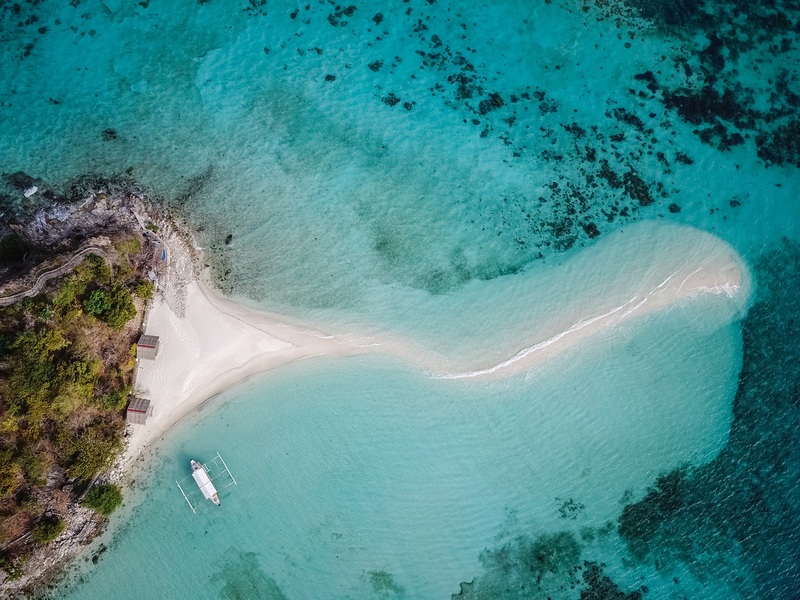 With so many deserted beaches to explore, sunken ships to dive into, and some rum and colas to sip on, it’s time to pack your bags and set off on the perfect Philippines holiday! There are many famous Philippine destinations, but also many that are less explored. This guide covers favorites from our 7-week trip. Backpacking Philippines travel guide & itineraries include details about visiting this paradise for budget-minded backpackers, honeymooners, and even those on a short trip. Be sure to check out the several island hopping itineraries. On arrival into the Philippines, there is a free 30-day visa. If intending to travel longer than 30 days, it is possible to get visa extensions. The easiest way is to pay for an extended visa on arrival. If your flight is arriving during business hours (usually 9 am to 5 pm), ask the customs agent to pay for a 60-day visa. They allow this at the Cebu and Manila airports. We paid 3,000 PHP for a 60-day visa. It took us about 20-30 minutes of extra processing time. While backpacking in the Philippines is heaven, for digital nomads or anyone looking to get work done on your downtime, don’t expect to be too productive. Wifi and cell coverage in the Philippines is absolutely horrible. I could barely open Facebook with 3G coverage in El Nido. Other times, it seems to work alright. I suggest anyone visiting the Philippines, whether it is a 1-week honeymoon or 4-week backpacking adventure, to get a cheap sim card on arrival. There is debate over who has the best coverage between Smart and Globe networks. I tried both, and they were overall pretty bad, but I found myself using Smart SIM more often. The Philippines break up their regions to different providers. So for example, Smart might be the only provider in Boracay, however in El Nido, only Globe will work. The prices are pretty similar for SIM cards; they are either free or 100 PHP (with 1GB loaded). Credit is loaded in denominations of 100 PHP. For the Smart SIM, 100 PHP covers a week plan with 1.5GB of data. Transportation costs vary from island to island. Some islands have better infrastructure and larger populations, thus convenient aircon buses run daily. Whereas others only have minivans or might need private transfers to suit your schedule. Our transportation costs below are based on our 7 weeks in the Philippines. Rooms and hostels have a massive variance between budget backpacking options and high-end resorts. The Philippines is a great backpacking destination with affordable dorms and budget private rooms in most places we visited. 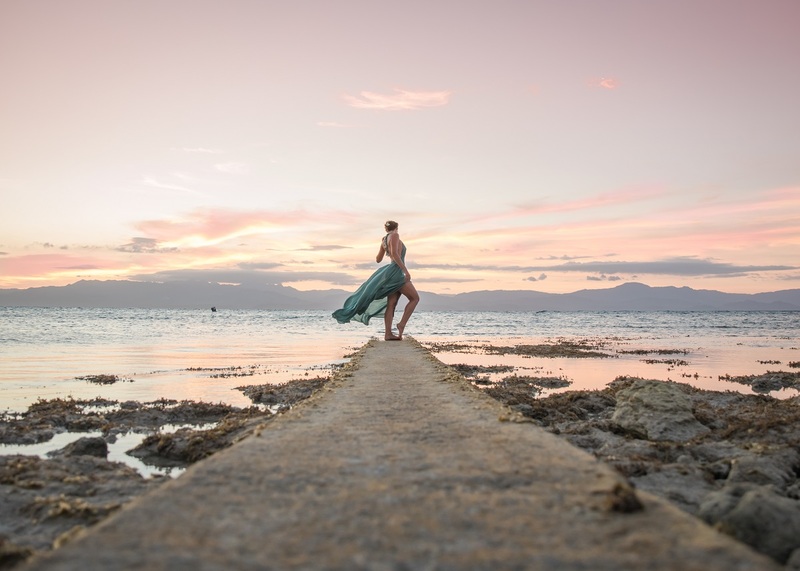 There are some exceptions and in some cases, such as Boracay, where the prices are double that of most islands in the Philippines for dorm best and budget rooms. Typically, hostel dorm beds cost between 250 PHP and 400 PHP per person. A budget double room starts at 600 PHP, and a mid-range double accommodation is around 1,500 PHP for the room. In the Philippines, local food is highly meat oriented. Small shops and homes will have pre-cooked dishes in pots and pans. There is usually an assortment of stews, sauteed pork meat, chicken curry, pork egg rolls, and noodles. It can be very difficult for vegetarians to eat at local restaurants. Small dishes range from 15 PHP to 50 PHP. Western restaurants are pretty common, especially in tourist destinations and beach towns such as El Nido, Coron, Panglao, and Moalboal. There is a wide option of food; such as burgers, Mexican, Thai, Italian as well as an occasional vegetarian/vegan restaurant. Dishes typically cost between 150 PHP and 300 PHP. Alcohol is very cheap in the Philippines, so if partying is your thing, it is a cheap destination to wet your lips and not break the bank. Beer and rum are available at all stores as well as many small shops. Wine is available in liquor shops and supermarkets. There are two popular beers in the Philippines, San Miguel and Red Horse. San Miguel tastes better, but Red Horse is stronger at 6.9% alcohol. Beers are available in 33ml, 50ml, and 1L and cost 50, 70, and 100 PHP respectively. Tanduay is the national rum of choice, and while the price is scary cheap at 100 PHP for a 1L bottle, it is surprisingly not bad, especially when mixed with coca-cola or calamansi (lime) juice. Imported wine from Italy, Spain, Australia and other regions of the world and is available at liquor stores and larger supermarkets. Wine prices range from 300 PHP – 1,000 PHP depending on the quality. There are large disco’s and clubs in the larger cities such as Manila and Cebu. They typically have an entry cost of 50-100 PHP and have live DJs at night. They commonly have a dress code of pants and closed toe shoes. Drinks cost between 80 – 200 PHP. Bars are common in tourist areas and beach towns, sometimes with live music, typically reggae. Drinks cost between 60 – 150 PHP. Karaoke bars are really common in the Philippines, which you will quickly realize during your travels is a favorite evening (and morning, and mid-day) activity among locals. Backpacking in the Philippines is very common and easy, because of the low transportation and accommodation costs. Everywhere we visited in the Philippines was extremely backpacker friendly. Budget rooms are easy to find, so if dorms aren’t your thing, it is easy to grab a cheap double room. Dorms and budget rooms can vary from nice quad rooms to pungent moldy 16-bed horror shows, so it is good to do some research or see the room before paying a bill. The Philippines has garnered a lot of attention in recent years when it comes to safety. There is a government war against drugs, specifically in Manila, southern Mindanao, and the Sulu Islands. It is best to avoid southern Mindanao and the Sulu Islands, as this is a major concern for pirating and terrorism. In the tourist regions such as Palawan, Cebu, Bohol, Siargao, there is no reason for concerns about safety. As you should anywhere else in the world, be careful with items in your room and do not leave valuables unattended. Theft does occur, although it is usually an opportunistic and not a systemic issue in the Philippines. 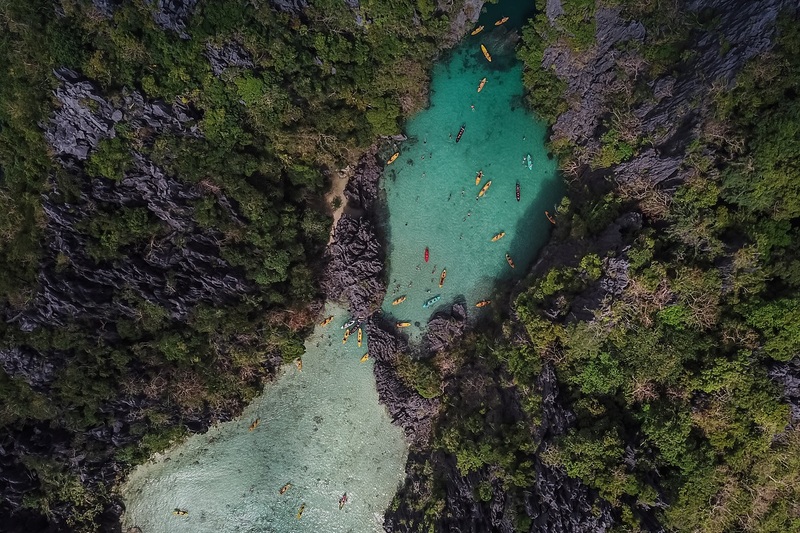 Palawan has some of the most stunning limestone cliffs and clear water in the world. It is super busy with tourism, especially in El Nido. However, I wouldn’t recommend skipping a boat tour to the famous Big Lagoon or Secret Beach. The beach towns of Port Barton, El Nido, and Coron, each have unique characteristics and are worth exploring. The best way is by joining group boat trips or hiring a private boat. For a little of everything; spend two nights in Port Barton, three nights in El Nido, and two nights in Coron. In addition to boat trips, spend a day at White Beach in Port Barton and Kayak to Papaya Beach from El Nido. Mid-Range Stay in Port Barton: Rubin Resort is a nice mid-range resort with rooms from 2,900 PHP ($55 USD). 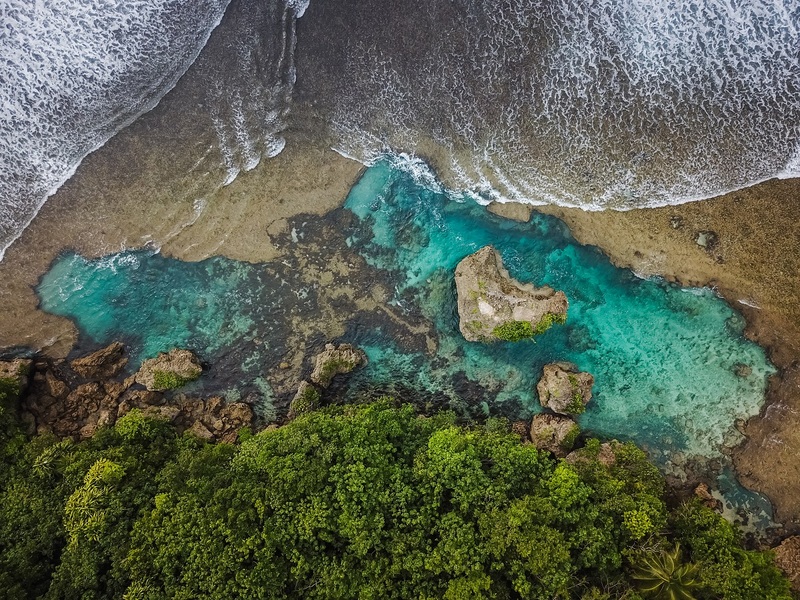 Siargao has been the up and coming spot to be in the Philippines. This surfing mecca reminds me a little of Bali meets Maui meets the Philippines. It has great western food and great vibes. The island has more palm trees per capita than anywhere in the world (OK maybe I am wrong on this, but lets go with it) and the rum seems to flow nonstop. Definitely stay in the General Luna area where you can watch or take some surf lessons for 1000 PHP. For a more chilled out vibe stay near Pacifico Beach, one hour north of General Luna. Island hopping can be done to either the three islands (Naked Island, Guyam Island and Daku Island) or to Sugba Lagoon. Siargao has some really beautiful places for photography such as the Magpapungko tide pool (at low tide) and Cloud 9. 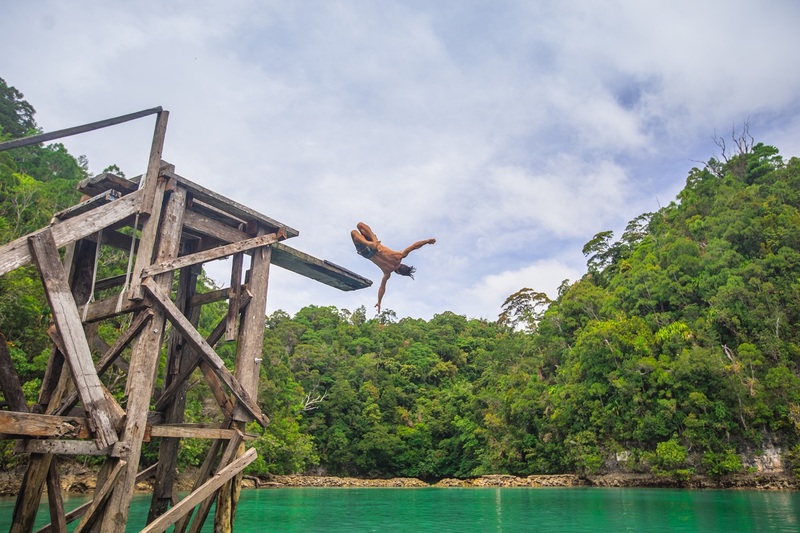 We didn’t go, but the less visited Sohoton Cove looks like a drone operator’s playground. Spending a few days exploring Camiguin by scooter was really fun. This island is more developed than others but actually felt like there was way less tourism. Two waterfalls are worth visiting, the Katibawasan Falls and the Tuasan Falls. The drive through the mountains with views of the entire island is worth the trip alone. A boat trip to the White Island sandbar is a relaxing war to spend an afternoon. If you are into hiking, check out the trek up Mt. Hibok-Hibok to the top of this active volcano. Don’t forget to finish off one of the days by soaking in the Ardent Hot Springs, a beautiful spot with natural jungle surroundings. Panglao is one of the more touristy spots in the Philippines, but with good accommodation and great food, this is a good base to visit other tourist areas in Bohol. Alona Beach is the hub for hostels and restaurants, but Dumaluan Beach was our favorite to relax on the white sand beaches. Either book a tour or grab a scooter and check out the Philippine Tarsier Sanctuary, Loboc River, and Chocolate Hills viewpoint. 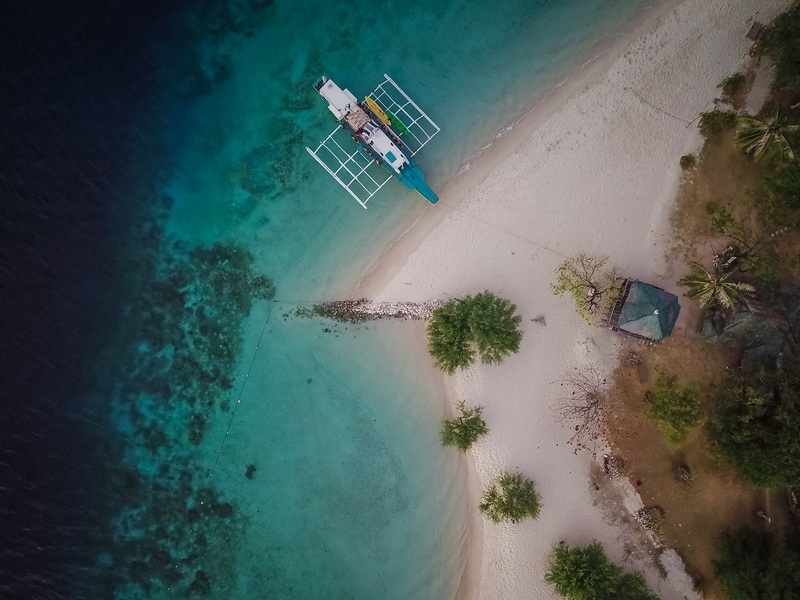 Getting to Padre Burgos is a journey in itself, but has some of the best scuba diving in the Philippines and a chance to swim with whale sharks in an ECO-FRIENDLY way. This is a great reason to visit this lonely corner of the Eastern Visayas. Diving here is about $30 USD per dive plus marine park fees. 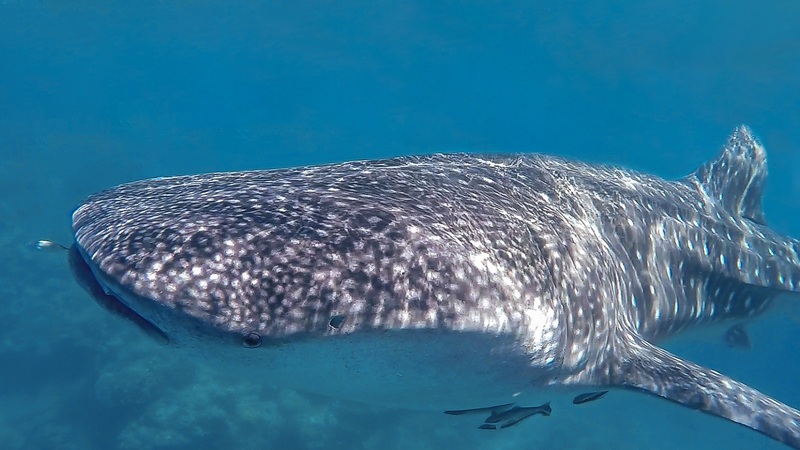 If visiting between the months of November and May, you are in luck, as this is the whale shark season. A whale shark snorkeling tour costs around 3,000 PHP or 3,600 PHP with 1 dive included ($57 – $68 USD). 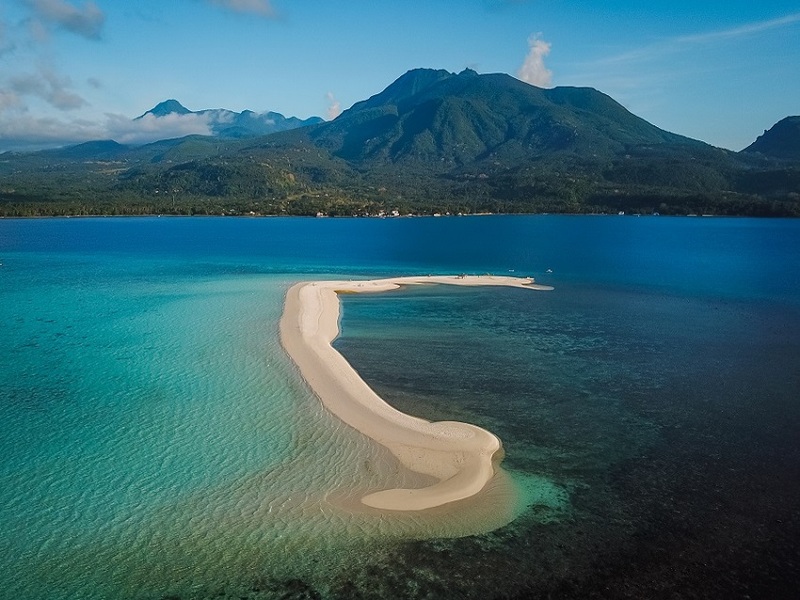 The Philippines is known for sandbars, and Kalanggaman has one of the best. 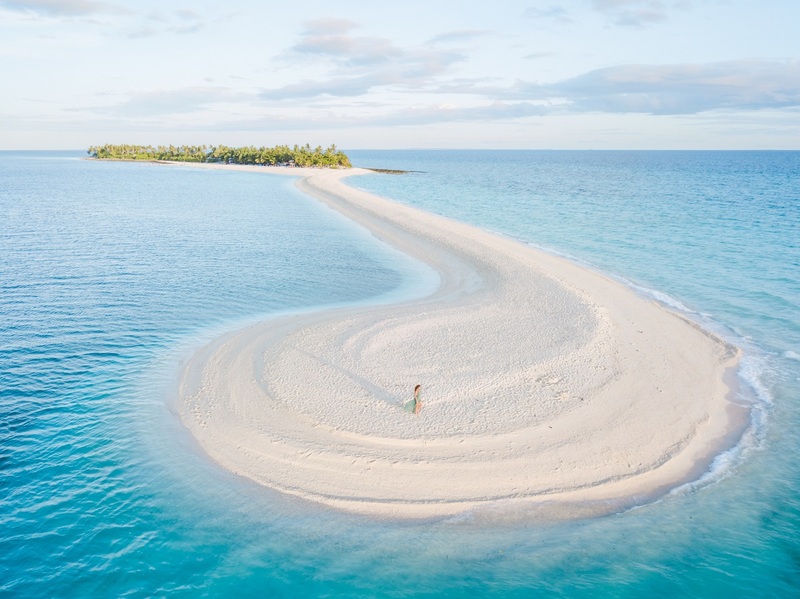 The sandbar juts out into the tropical blue water from this tiny island. You can walk across the island in a matter of minutes. This is a popular day trip for locals and foreigner to enjoy the sandbar and have a BBQ. You also can stay the night and camp under the stars. It costs 500 PHP for entry to Kalanggaman, plus the cost of transport. Boats leave from Palompon, Leyte and day trips leave from Malapascua. It typically will cost around 300 PHP from Palompon and between 600 – 800 PHP from Malapascua. The boat cost depends on the total size of the group. Sleeping on Kalanggaman: Camping on the island is permitted with a few options. Staying the night costs 750 PHP instead of the 500 PHP entry. You can bring your own tent at no additional cost or rent a tent for 400 PHP. At the far end of the island is a private section with basic huts that can be rented for 1,500 PHP. A throwback in time, Malapascua has a true island vibe. 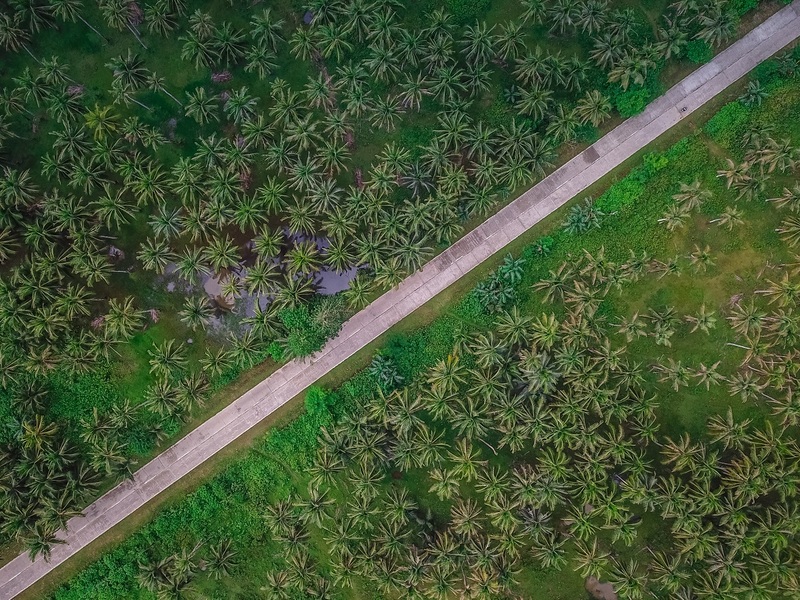 The tiny alleyways between dilapidated homes and coconut trees all lead to the beach where dozens of dive shops and restaurants line the walking street. Karaoke will be blasting at any time of day. While the island is “dirtier” than other places in the Philippines, there was just something I loved about it. The main reason to come to Malapascua is the scuba diving. There are several good dive sites, but the best attraction is to see the amazing thresher sharks. Monad Shoal is a cleaning station for thresher sharks and is at a depth of 30m. It is one of the few places in the world where there is a chance to see these amazing sharks every day of the year. A single dive at Monad Shoal costs 1,600 PHP including gear rental. Moalboal is a coastal city on the south of Cebu Island. It is the perfect base for activities in Cebu, including some serious waterfall exploring. Cebu has some of the best waterfalls in Asia. The out of this world Gatorade blue color of the water makes these waterfalls exceptional and unique. There are dozens of falls to explore; some of our favorites are Inambakan Falls, Kawasan Falls, Dao Falls, and Binalayan Falls. Watching the sunset from Osmena Peak is worth the trek. This bizarre landscape has beautiful views of the coastline. Moalboal is one of the best places in the world for freediving. If you have experience or want to try it out for the first time, visit our besties Yahia and Kris at Freediving Planet. Don’t miss out on the sardine run which can be seen year round. What used to be a sleepy island known for honeymooners has become one of the Philippines top party destinations. Boracay is known as one of the top beaches in the country, and unlike other places in the Philipinnes, accommodation is right on the beach. In 2018 it has become a little too popular; the government closed the island to tourism for six months from April to October. We skipped Boracay because we weren’t looking for the party scene, but there is a reason it attracts over 2 million tourists a year. Siquijor, the island of witches, is an island with beautiful beaches known for its history with witchcraft. The Old Enchanted Balette Tree is an interesting site to see. The island has a lot to offer; mountain biking, exploring waterfalls, and of course, searching for the best beaches. Click here for more on the top things to do in Siquijor. Batad Rice Terraces in North Luzon. Photo by Ojito. It is a long journey from Manila (10-hours), but totally worth the effort. 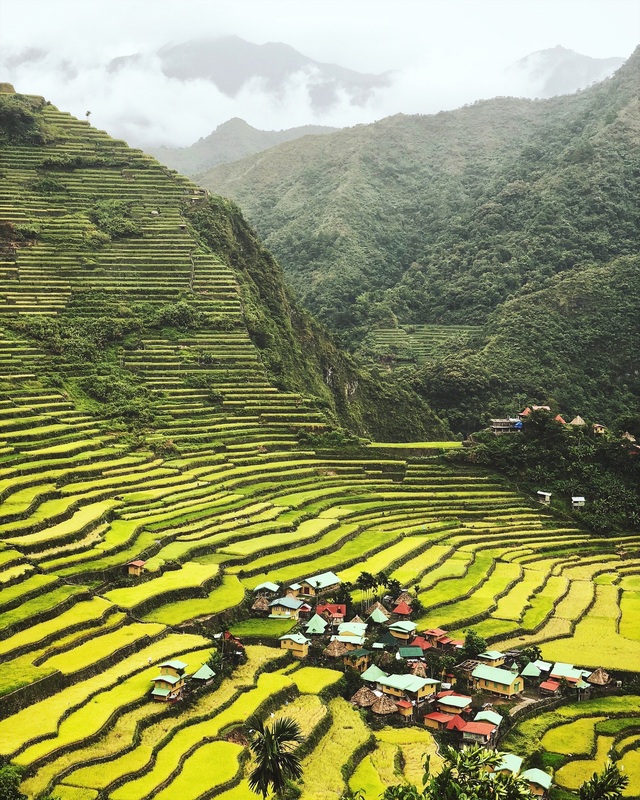 When arriving at the mountainous village of Banaue, the crisp cool air and ever-lasting views of rice terraces is the perfect place to relax for a couple of days. There are several stunning rice fields in the area, including the Batad and Bangaan terraces. Since you made the journey here, continue to Sagada, a 7-hour bus ride from Banaue, with visits to the hanging coffins, explore caves, and relax in a traditional village setting. For more ideas, check out the Pinoy Solo Backpacker’s Sagada Guide. Day 1: Fly to Cebu International Airport and catch a flight directly to El Nido, Palawan. Day 2: El Nido is known for boat trips, so get on an island hopping tour of package A+C, visiting the Big Lagoon, Small Lagoon, and Secret Lagoon. Day 3: Fly back to Cebu and take a bus or hire a taxi to Moalboal. Day 4: In the morning, go snorkeling or take a freediving session to see the sardine run. In the afternoon, visit Kasawan Falls and Inambakan Falls. Day 5: Take transport back to Cebu City and catch a ferry to Bohol. Take transport down to Alona Beach in Panglao. Day 6: Spend the early morning at the beach. In the afternoon take transport or scooter to Carmen. Day 7: Wake up for sunrise over the Chocolate Hills and join an ATV tour exploring this unique landscape. In the afternoon, take transport back to Tubigon and take the ferry to Cebu City. If you are coming for a two-week trip, this is enough time to visit many places, but don’t expect to see the entirety of the Philippines. Day 1: Fly International into to Cebu. Fly directly to Coron, Palawan. Set up an island hopping tour to Coron Island for the following day. 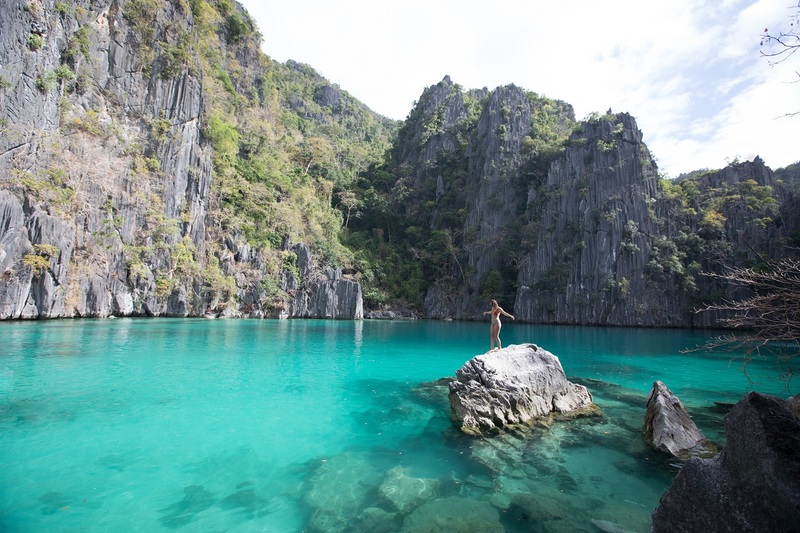 Day 2: Coron Island is the highlight so pick a tour that visits the Twin Lagoon, Kayangan Lake, or Barracuda Lake. Day 3: Take the fast boat or public boat (3 hours or 5 hours) to El Nido. Get set up for a day tour the following day. Day 4: El Nido has some of the best scenery in the Philippines, which can be seen via their four different tour options. Tour A+C is a good option, seeing the Big Lagoon and Small Lagoon, Secret Beach, Secret Lagoon, Secret Beach, and Star Beach. Day 5: Spend another day in El Nido, but today you will make your own adventure. Rent a kayak for 700P and kayak out of the bay to the very quiet Ipil Beach or our favorite, Papaya Beach. It takes roughly one hour to reach the beach. Day 6: Take the 4-hour bus to Port Barton and spend the afternoon at White Beach. Day 7: Hire a private boat tour around the islands near Port Barton. Day 8: Bus to the Puerto Princesa airport and fly to Cebu City. Take the public bus or hire a taxi to Moalboal (3 hours). Day 9: Rent a scooter and have a waterfall adventure day. 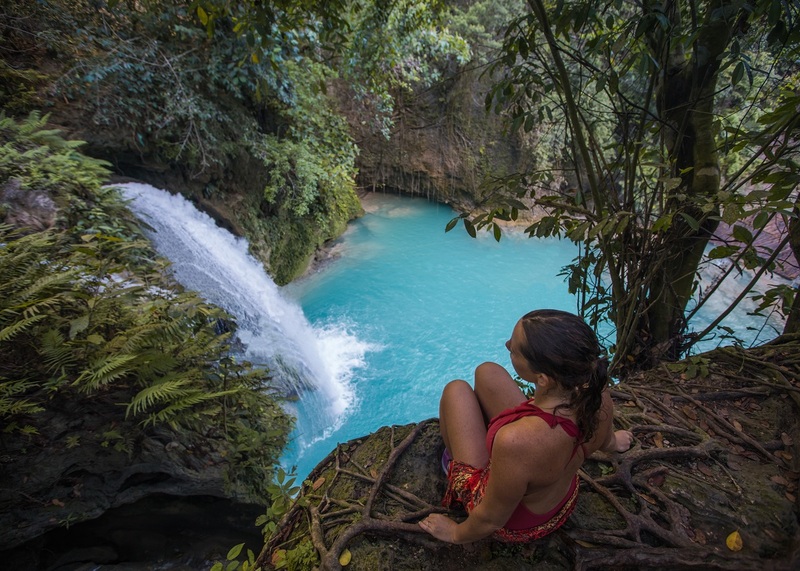 Visit Kawasan Falls, Inambakan Falls, and Dao Falls. Day 10: Spend the morning exploring the underwater scene in Moalboal. The sardine run can be visited year round. In the afternoon, join a tour or if adventurous enough, drive up to Osmena Peak for sunset. Day 11: Return to Cebu City to catch the ferry to Bohol. From here, take transport down to Alona Beach in Panglao. Day 12: Panglao has excellent beaches, so choose between Alona Beach and Dumaluan Beach to chill for the day. Day 13: Explore Bohol by visiting the Philippine Tarsier Sanctuary, Loboc River, and Chocolate Hills viewpoint. The diving in the Philippines is world-class. 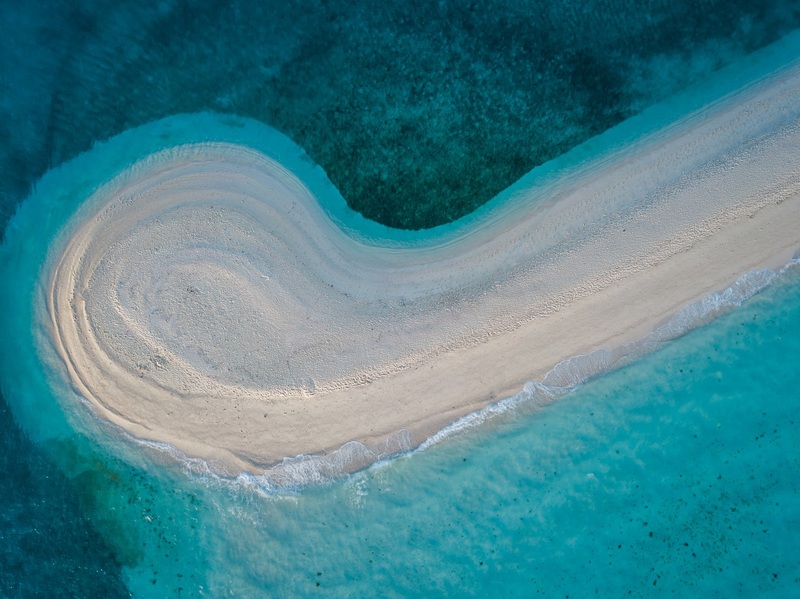 Incredible WWII wreck dives, pristine coral walls, and incredible marine life are just some of the reasons for a scuba diving holiday in the Philippines. 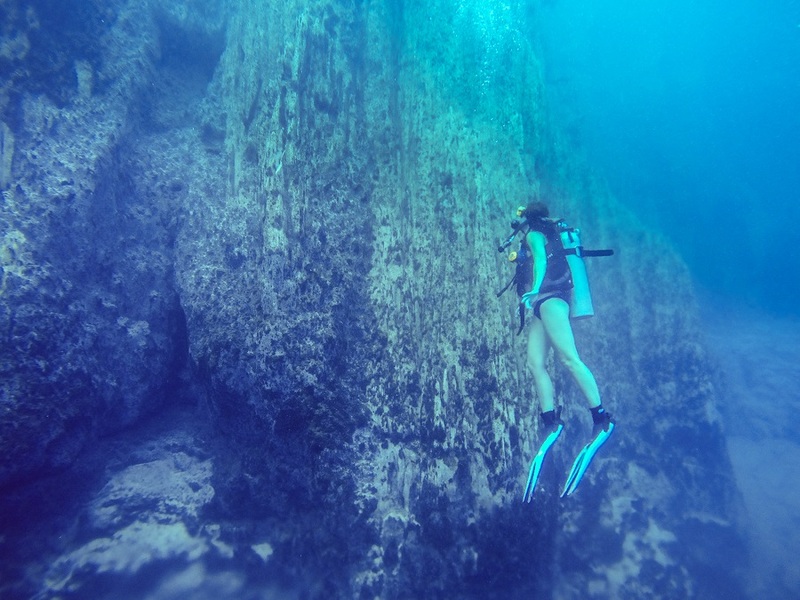 Below we listed some of the best dive locations. Shorten the itinerary choosing fewer destinations or lengthen the trip and stay a bit longer! 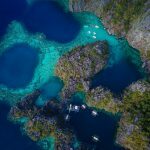 Day 1 – 3: Fly to Coron, Philippines and spend two days exploring the best wreck dives that Coron Bay has to offer. Find a dive center that can organize trips to Apo Reef. Don’t miss out on diving in Barracuda Lake, Okikawa Maru, and Irako dive sites in Coron or Apo 29 at Apo Reef. 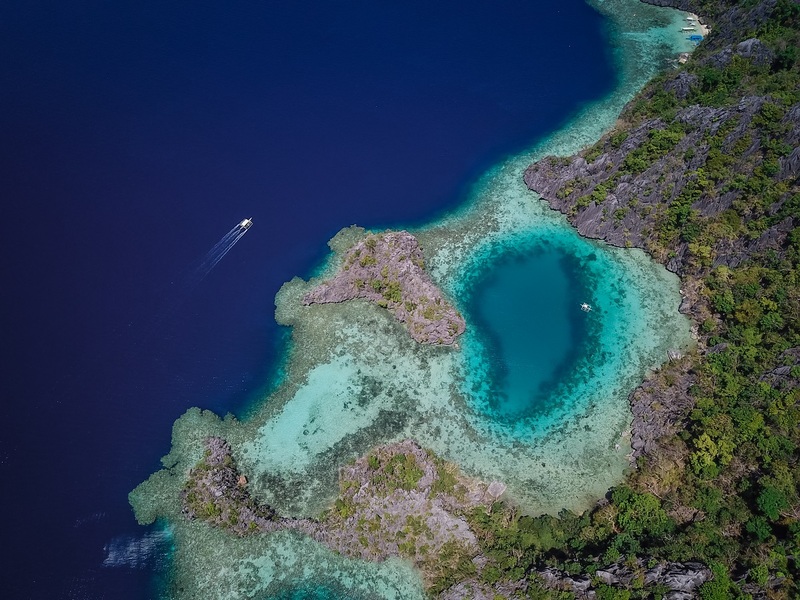 Day 4 – 7: Liveaboard to Apo Reef & other dive locations. Day 8: Fly to Cebu and take the bus to Maya (northern tip of Cebu) and a short boat ride to Malapascua. 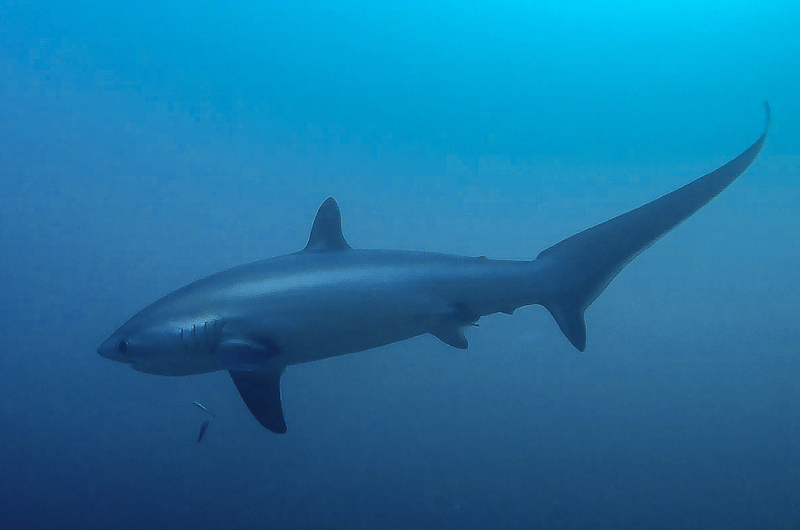 Day 9 – 11: Dive at Monad Shoal to see the Thresher Sharks. Other dive sites are offered nearby, such as Gato Island. Day 12: Take a bus back to Cebu City and then the ferry over to Bohol. Take a bus down to Alona Beach in Panglao. Day 13 – 15: Enjoy some beach time in Panglao and dive at Balicasag Island. Day 16: Take a bus to Ubay and then Ferry to Hilongos. Hire a taxi down to Padre Burgos. Day 17 – 21: Snorkel with whale sharks and dive at some of the Philippines best-kept secret, Sogod Bay. 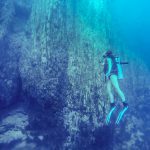 Don’t miss out on the top dive sites such as Napantao or Limasawa Island. Overland to Tacloban and catch a flight to Cebu or Manila to end the trip. One month allows for the ultimate itinerary to experience lots of what the Philippines has to offer. These are our favorite stops in the 7 weeks we spent exploring the country. Day 1 – 7: Kick off your Philippines adventure with a week in Palawan. 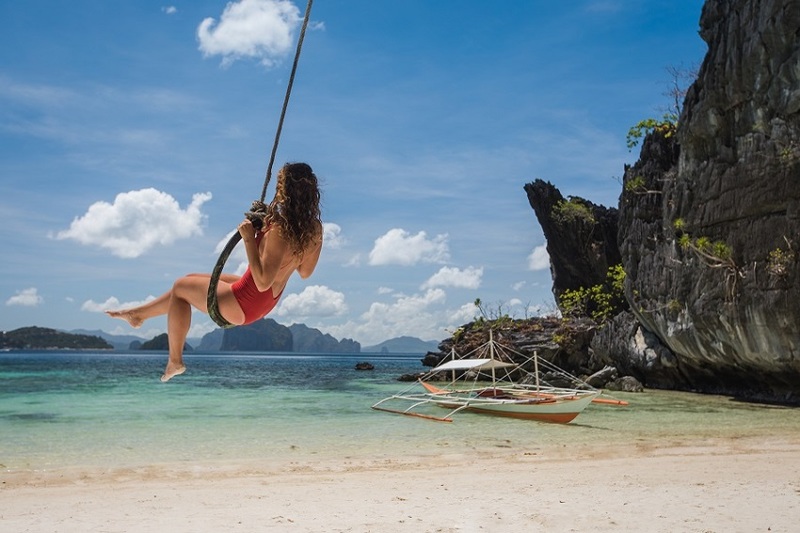 Hit up as many island hopping tours as your can between El Nido, Coron, and Port Barton. Day 8 – 12: Fly to Siargao and kick back with some rum and cola between your daily surf. Don’t miss out on some island excursions such as the three island tour, the Sugba Lagoon, and the Sohoton Cove. 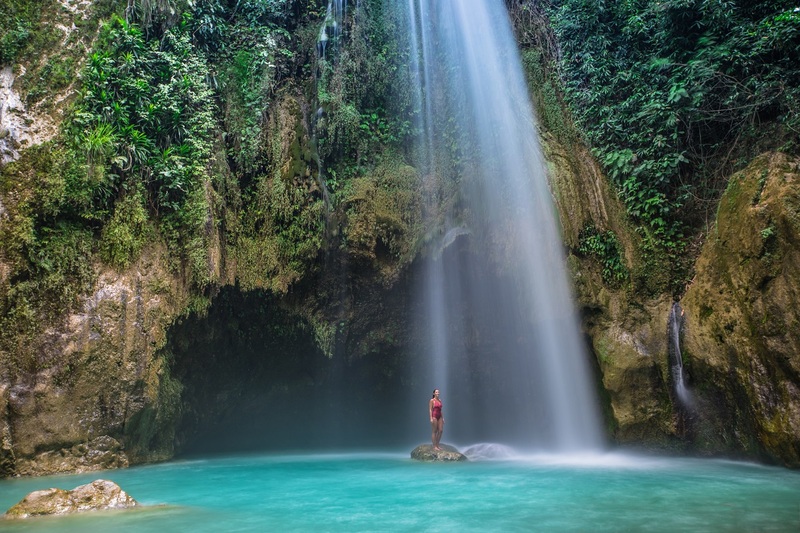 Day 13 – 16: Cebu has some of the best waterfalls in the Philippines, so clear out one or two days to check out Kawasan Falls, Dao Falls, Binalayan, and our favorite, Inambakan Falls. 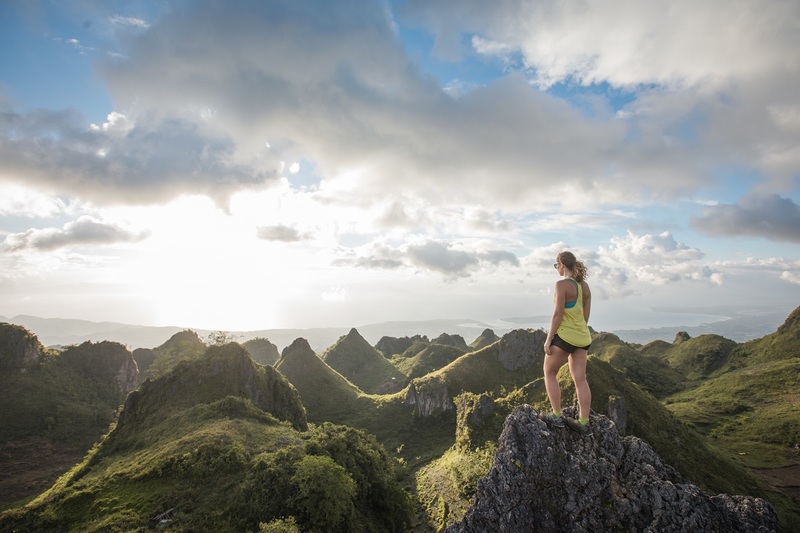 Hike up to Osmena Peak for sunset, and don’t miss a chance to dive or a snorkel trip to see the sardine run. Day 17 – 20: Panglao is a perfect place to get in some good quality beach time and eat some good grub. It is a great base to explore Bohol. 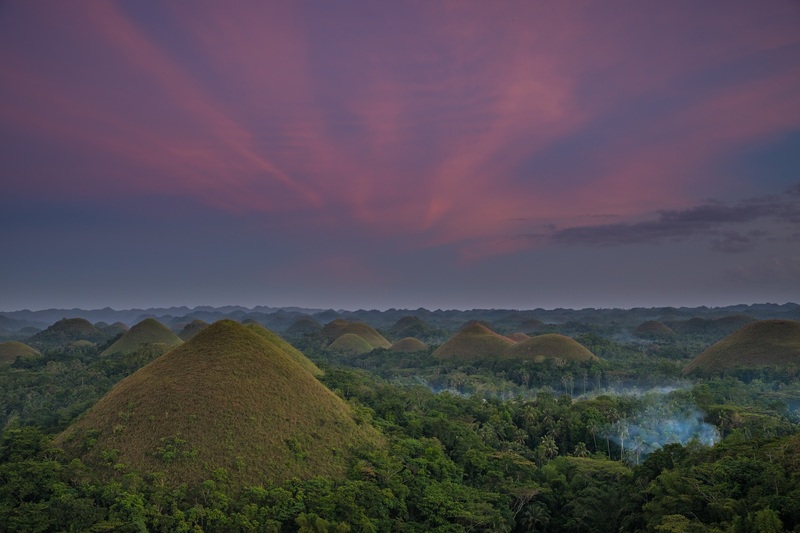 The Chocolate Hills is quite far out there, but it is best at sunrise or sunset, so consider staying in Carmen one night. On the way (or after), make stops at the Loboc River and Philippines Tarsier Sanctuary. Day 21 – 24: Camiguin is a laid-back island with volcanic landscapes (and hiking if into that). Explore waterfalls, a sunken cemetery, and a day on White Island. Day 25 – 26: Southern Leyte is not easy to get to, but to swim alongside whale sharks is a once in a lifetime opportunity. Do it the right way though! Padre Burgos is 100% eco-friendly and a whale shark research area. There are way fewer people here, so only 1 or 2 boats might be searching for whale sharks at the same time. 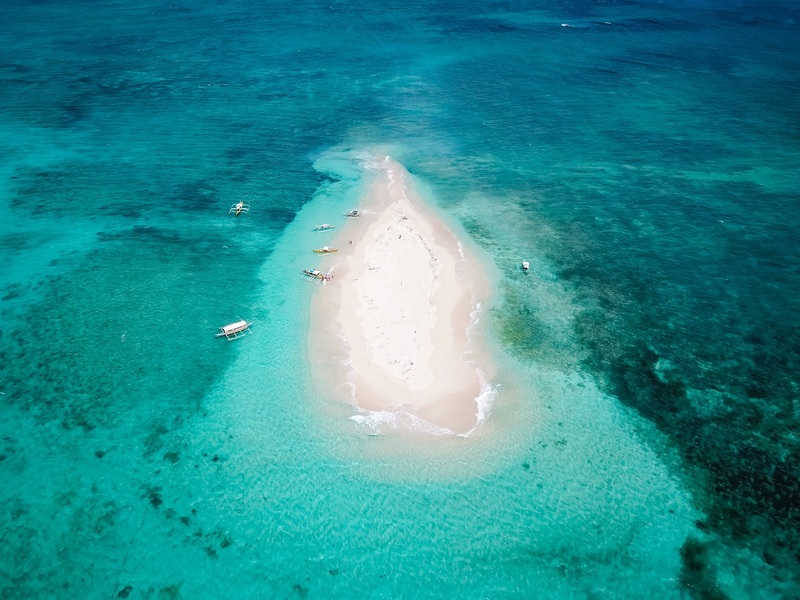 Day 27 – 28: Kalanggaman Island has the best sandbar in the Philippines. This common day trip allows camping, so rent a tent, bring some rum, and spend a night under the stars. Day 29 – 31: Malapascua is island life to the fullest, and has a rare opportunity to see thresher sharks. Return to Cebu City to fly out. If you have more time that’s great! Use our one-month guide and add on from there. Spend the extra time by seeing some culture in the Philippines and an extra beach destination. Day 1-31: Follow the above Itinerary, then fly to Manila. Day 32-35: Take a bus to the northern rice terraces. Visit Banaue, Batad or Bangaan terraces. Day 36-38: Take a 7-hour bus ride to Sagada to see the hanging coffins. Bus back to Manila. Day 39-42: Fly to Boracay for a relaxing few days. This article has affiliate links. Some links and banners will reroute to another website. Purchases made through these links are at no additional cost to you, but we get a small commission. These help us with our website costs. We really appreciate the support for any purchases made through our affiliate links! Share Some Love & Pin It! I’m going to the Phillipines for the first time next month! This was the perfect guide for me to read, great tips! This is such a thorough post! Love all the itinerary options at the end. The Phillipines have been on my list for a long time now, with all the islands to explore and Whale Sharks to meet 🙂 Thanks for sharing all the valuable info! It looks like you thought of absolutely everything girl! We want to check out the Philippines in the next few years, so this will be SO helpful. I especially love that you included how much all of the variation options of transportation would cost and then a bunch of different itineraries based on how long you can stay. Sadly, I think we will only be able to stay 1 week, but I really want to stay for 2 weeks so I can check out Coron Island! This guide is so useful! Definitely saving this for later. I’ve always wanted to go to the Philippines! Your photos are absolutely stunning! Also this guide really seems like it has all the info you’d need to backpack in the Phillipines. If I’m being honest, I always forget that the Phillipines exist. That’s got me feeling super dumb after reading about all the great reasons to visit in this post. Now I definitely have to go! This is such a great breakdown of such a beautiful destination! What a great resource. I never would have thought that different regions would be covered by different cellular carriers, but it’s such a good tidbit of information for someone to know. Thanks for a thorough post! 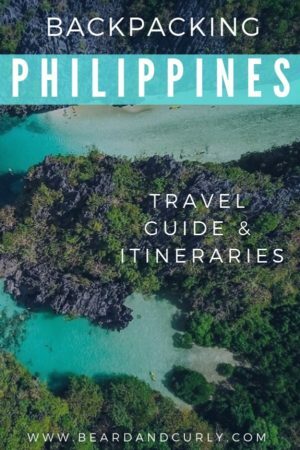 This is definitely the most comprehensive guide I’ve seen for Philippines travel. North Luzon looks absolutely incredible—great pick! It’s such a diverse destination, and probably a bit underrated. I live in Australia, so not too far—Philippines is definitely on my wishlist! We are thinking if we should add Phillipines to our itinerary in about 2 months. Your article convinced me it is worth seeing! Wow that waterfall at Cebu does look like gaterade! Stunning! Great job on this post. Super informative and I love your pictures! Holly molly! This is such a comprehensive guide! It literally answers all the questions I would have for travelling to the Philippines! I’ve heard they have some of the best beaches in the world and your pictures have confirmed that. Great read! Very informative. Stunning Photos. Thats a real adventure. This post looks amazing, makes me want to book a flight to the Philippines right now. It simply looks like paradise! Great resource for travel in Phillippines! Palawan was an awesome vacation! And I felt very comfortable and safe there. Such a great detailed post with so many resources for travelers. Haven’t been there yet but dying to go soon. Love your pictures! This is such a useful post with tonnes of information. I love the look of Moalboal and the waterfall walks! This is such a fantastic, comprehensive guide and will definitely be the first one I’ll refer to when planning a trip to the Philippines 🙂 It is a country that’s on my list but then so are around 20 other destinations currently! WOW. If I didn’t want to go to the Philippines before (I did!) then I do now!!! This is such a fantastic guide. 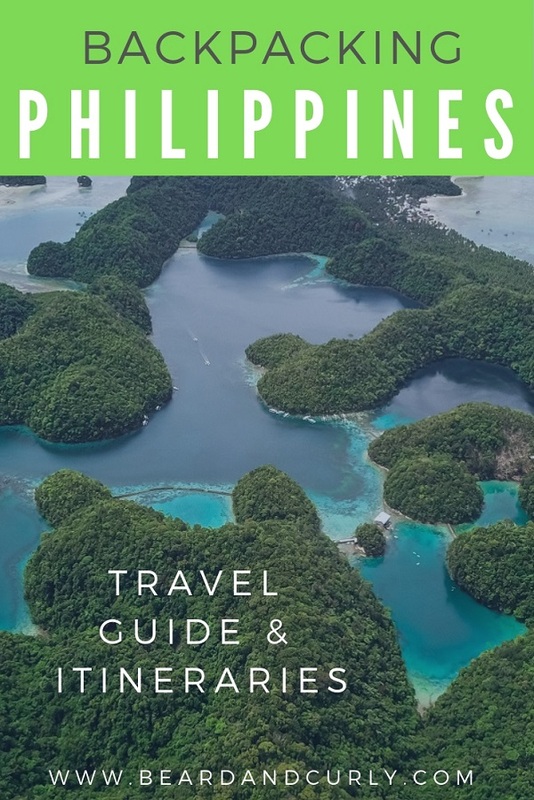 This is hands down the most comprehensive guide to the Philippines I’ve ever seen! Thank you so much for helping me plan/budget my Philippines vacation. Helpful post. I like the how you did the itineraries. Very comprehensive info on Philippines. I’ll need to get there sometime. 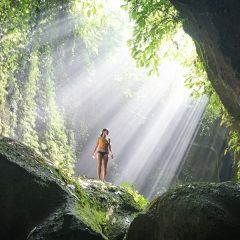 These places in the Philippines are really stunning. I’ve been to some of the places mentioned and I could really vouch that they’re beautiful not just in photos but also in real life. This isn’t because of photoshop, guys!